Deep in the halls of scientific academia, a debate has been quietly raging between Darwinian macroevolution and the theory of Intelligent Design. Doubts About Darwin follows the key players in this debate, confronts the challenge of scientific naturalism and provides a stirring overview of this growing movement. Armed with lucid, scientifically grounded arguments, proponents of Intelligent Design have put evolutionists on the defensive. Who are the adherents of this emerging movement? Author Thomas Woodward traces events, personalities, and sociocultural factors that contributed to its growth; and examines the rhetorical dimensions that continue to fuel it. 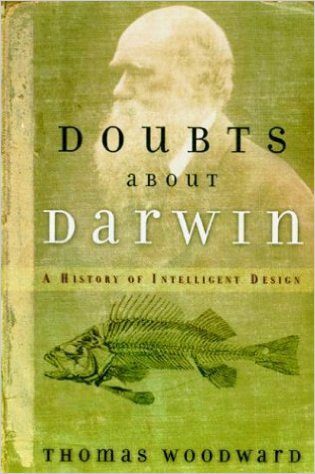 Doubts About Darwin shows that the erosion of certainty about the factual truth of Darwinism is the product of a rhetorical onslaught… the persuasive case making by highly accredited critics like Phillip Johnson, Michael Behe, and William Dembski. Accessible and compelling, Doubts About Darwin opens a dramatic door to moral and intellectual reformation.